Attacks and hate speech against Venezuelans seeking shelter in neighbouring countries should be condemned “with a clear and forceful message of rejection” and solidarity, a top UN refugee agency (UNHCR) and UN migration agency (IOM) official said in a statement on Monday [28 January 2019]. © UNHCR/Elisabet Diaz Sanmartin | A family of Venezuelans found a new home in Tumbes, Peru, thanks to local solidarity. Here, two children play on the floor of the improvised shelter they are living in. Eduardo Stein, Joint UNHCR-IOM Special Representative for Venezuelan refugees and migrants, made his comments after the UN Security Council met at the weekend to discuss the situation in the country, where opposition leader Juan Guaidó declared himself President on 23 January. “Although isolated and unrepresentative, these acts of hatred, intolerance and xenophobia are extremely worrying,” Mr. Stein said, in his appeal to “several” unnamed countries. 22 January 2019 — With snow and freezing temperatures, displaced families living in makeshift tents in Kabul are struggling to survive the harsh winter. KABUL. Displaced children sweeping snow away from their makeshift tents in Kabul..
Akhtar has his hat pulled well over his ears and his scarf snugly around his neck. As other Afghan children delight in the first snowfall of winter, playing and making snowballs, Akhtar is on his way to work to collect scrap, he tells us. “I usually collect Pepsi cans that I sell and paper we can burn for cooking and to keep our house warm,” he tells us. A farmer from South Sudan tells how learning new skills at an FAO Farmer Field School has changed her life. 27 January 2019 (FAO)* — Akuilina Ihurre used to think she was too old to join a farmers’ group but she knew she needed support to overcome years of hunger. Today, she is producing food with seeds, agricultural tools and techniques acquired through an FAO Farmer Field School in Torit, in South Sudan. Akuilina is one of nearly 1 800 people who are learning farming skills at more than 60 new FAO agropastoral Farmer Field Schools in the state of Eastern Equatoria. Climate change, deforestation and rising sea-levels have been causing devastating rice shortages for Cambodia’s coastal communities. UN Environment is supporting the Cambodian government in their attempts to promote alternative livelihoods to overcome these challenges. 28 January 2019 (UN Environment)* — Until a few years ago, 70-year-old rice farmer Neang Bo had no problem putting food on the table by cultivating fields around her village on the Cambodian coast. Bo and her husband would harvest around 4 tonnes of rice in Prey Nob district, Sihanouk province. The chickens grew fat pecking on spare grains in the shade of their wooden home on stilts. “We used to have regular seasons; dry for half the year and rainy for the other,” she said. 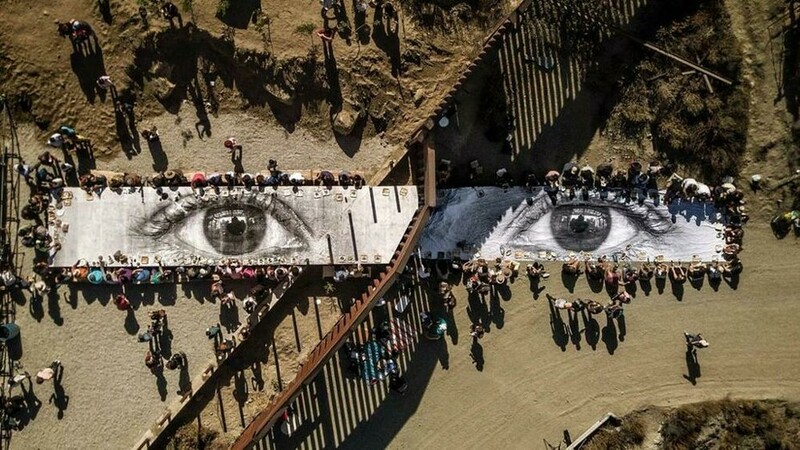 A Critique of Border Humanitarianism | Photo from Wall Street International. Decolonization consists of working with migrant communities, and vulnerable populations in their countries of origin. Communities in the Global South who are especially subject to the sting entrapment of U.S. immigration, such as forced migrants, asylum seekers, internally displaced persons, and others, can easily become absorbed by assimilation into American “settlerism”.